I am so excited to show you these before and after pictures. I was given the chance to review the Basketweave Boot Tray from Everything Door Mats I reviewed look how beautiful and a bargain at only $34.99. Everything Door Mats is known for their beautiful door and welcome mats but you all know me I wanted to bring you something different and unique from Everything Door Mats. I absolutely loved the Basketweave Boot Tray it was very well made and super thick. It is manufactured to a high standard in an Antique copper finish. The basketweave design is so intricate and beautiful that it truly gives you a one of a kind look. I was delighted to read that it can also be used as a plant tray during those long winter months when your potted plants need to be brought indoors. As everyone knows I love to garden so this is great for me. The Basketweave Boot Tray is 34" long by 14" wide and 2" deep and is sized perfectly to hold just enough shoes and be beautiful in your hall or entry way. 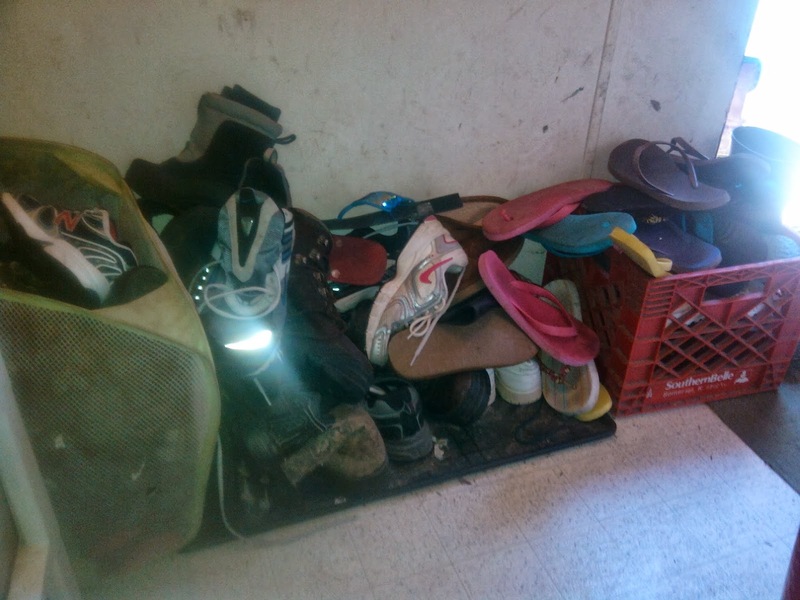 Here is what my entry looked like before I received my boot tray (please excuse the mess). I am honestly embarrassed to say my hall lokked like this I was using a milk crate and a laundry/toy hamper to store my shoes and boots. Now look what a difference the Basketweave Boot Tray makes. Here is the after photo. I want to thank Everything Door Mats for saving my entry way. I can be proud of how people see my house when they first walk in now and it is a true reflection of me and my style. 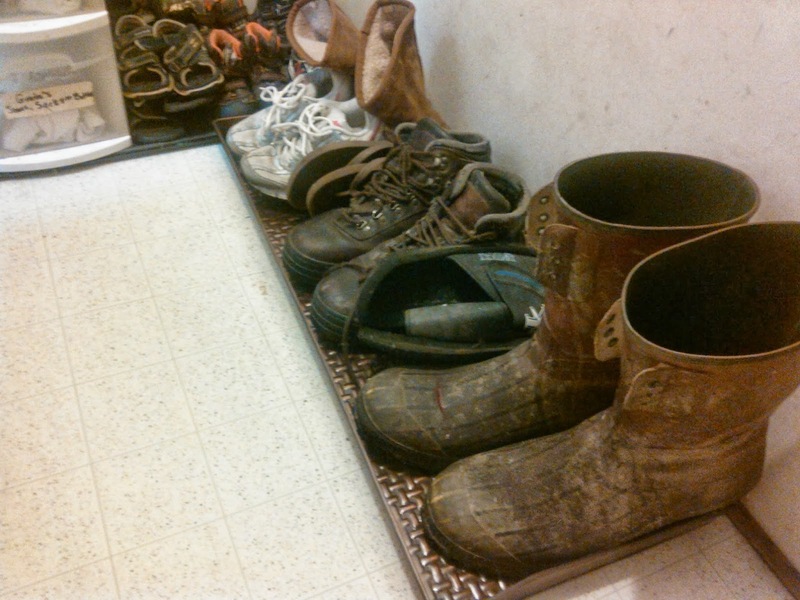 I am so glad I got the chance to review the amazing Basketweave Boot Tray. 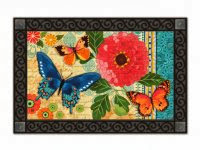 I also want to take a second to show you my favorite mat the Butterfly Ballad MatMates™ Spring Non-slip Rubber Backed Doormat only $19.99. Look how beautiful it is! Everything Door Mats also has beautiful area rugs and a selection of so many beautiful other products you simply must check them out for your holiday shopping who wouldn't love to receive something as beautiful as the Basketweave Boot Tray. I recommend Everything Door Mats Basketweave Boot Tray as a great gift and have included it in my 2013 Holiday Gift Guide! Follow Everything Door Mats on twitter here @EverythingDMats and on facebook here Everything Door Mats and to shop Everything Door Mats just click here Everything Door Mats. Deffinitely need a few of these! 3 girls and a momma who loves shoes hahaha would come in handy on a muddy, wet, snowy day!